NDSU Transportation and Logistics Ph.D. student, Osama (Oz) Khan was recently named a transportation planning engineer with StoneBrooke Engineering in Burnsville, MN. Khan will assisting with civil engineering projects, developing signing and striping plans, temporary traffic control plans, signal and lighting plans and developing macro- and microsimulation models. He will also create traffic operations and safety plans and reports, communicate with clients, and perform a other assignments related to traffic engineering on municipal and transportation projects. 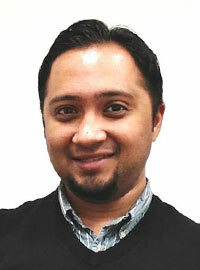 During his employment, Khan will continue to pursue his Ph.D. in Transportation and Logistics from NDSU. He plans to earn his Professional Engineering (PE), Professional Traffic Operations Engineer (PTOE) and American Institute of Certified Planners (AICP) licenses and registrations. Stonebrooke Engineering offers a range of consulting services, and their staff includes highway design, water resources, traffic and other engineers, environmental and transportation planners, surveyors, construction inspectors and specialists, and graphic designers. The firm specializes in transportation design, roadway planning, traffic modeling, site planning, land surveying, and construction management. Khan is originally from Kuwait City and earned his bachelor's degree in civil engineering and master's degree in transportation planning from Minnesota State University Mankato.